Spread Pick: Milano with handicap +16.5 at 1.90 Over/Under: Over 164.5 1.90 Bet Now! This is the first time these two teams will have faced off against each other since 2010 and in total; there have been 9 meetings between the two teams. The first meeting dates back to 1966 and the Euroleague semi-final and at the moment, Milan holds a 6-3 lead in the games. However, with this being a home game for the Russian side, it is worth looking at their home record, which stands at 3-1. 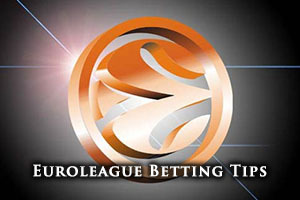 If you are looking for historical tips for your Euroleague basketball betting, that may be a great place to start. There are injury concerns for the home side and there is no guarantee that Aaron Jackson will be fit for this game, and if he isn’t, Milos Teodosic and Nando De Colo will be under even more pressure to deliver for the Moscow side. There are contrasting fortunes for the sides in the Top 16 with CSKA Moscow holding a 5-1 record in this section while Milan hold a 1-5 record. Moscow will have to bounce back from a defeat though, a loss that removed their 100% record. The Russian side come into this clash with a 15-1 record, which included a 10-0 record in the regular season. Moscow have scored an average of 88.8 points per game in the Euroleague so far, which means that they are likely to be dangerous tonight. Nando De Colo leads the way with an average of 15.5 points this season while Andrey Vorontsevich offers up an average of 5.1 rebounds per game, Milos Teodosic is also a key player for CSKA providing an average of 7.3 assists per game. Domestically, CSKA are doing well, sitting at the top of the VTB United League with a 16-3 record. However, they have lost their two most recent games with their most recent game being a 107-104 loss to Khimky. Milan currently hold a 6-10 record so far this season in the Euroleague, with a 5-4 record in the regular season joining their 1-5 Top 16 status. Milan have offered up an average of 75.1 points per game this campaign so far. Daniel Hackett is the top man for points, with an average of 11.5 points per game and assists, with an average of 4.6 assists per game. Samardo Samuels is also a key player for Milan, and he has offered an average of 5.4 rebounds per game. Things are brighter for Milan domestically though as the team is top of Serie A with a 16-2 record. 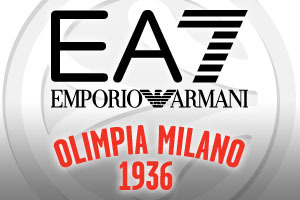 Milan faced Umana VE in their most recent game and grabbed a 74-84 win. With a few wobbles of late, CSKA Moscow will be keen to get back to winning ways, and they should do, barring a most unlikely result. However, taking EA7 Emporio Milano with a +16.5 handicap, at odds of 1.90, will keep things interesting until the end. For those interested in the Over/Under market, choose Over 164.5, at odds of 1.90. Both of these bets can be found with Bet365. Bet Now!